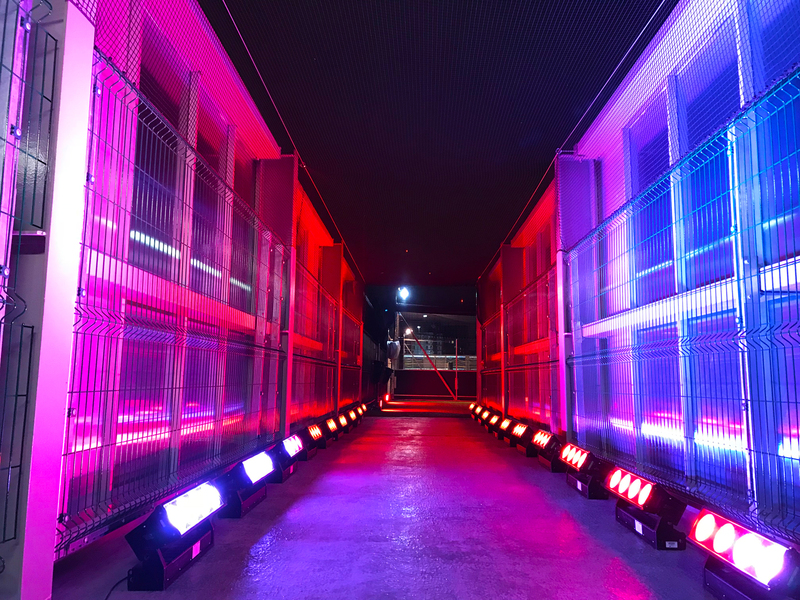 White Light was recently called upon to provide the technical support for the latest adidas Tango League event held at the brand-new Powerleague Nine Elms site in South-West London. 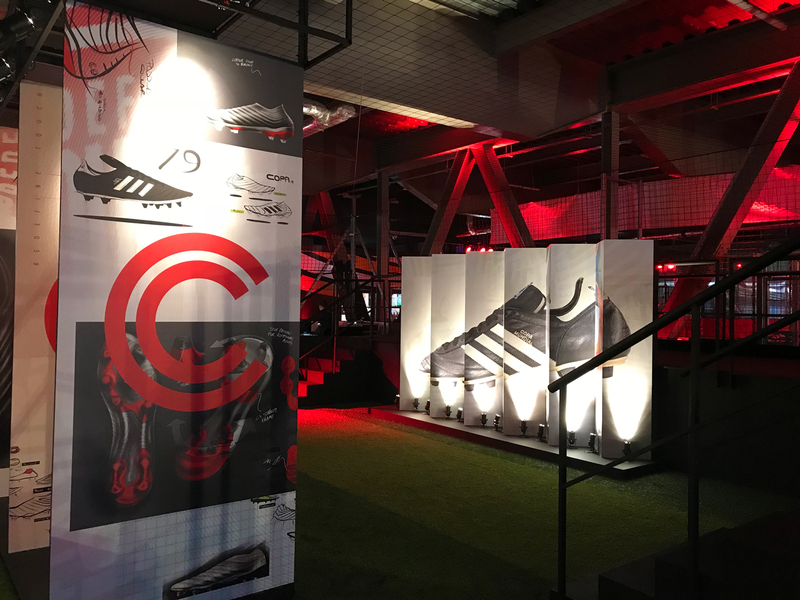 The event was produced by The Marketing Store who WL has worked with on several occasions, including the immersive adidas Retail Experience which is a finalist in the InAvation Awards. This particular event was led by WL’s Senior Account Manager Dominic Yates, who comments: “We’ve worked for both adidas and The Marketing Store numerous times already this year so are fully aware of their high expectations – especially with events such as this that are streamed to millions on social media”. WL’s brief on the project was to help recreate the format of a visual deck that was envisaged by the Scenic Designer. The deck would be used to promote both the Tango League as well as the new COPA boots. To achieve this, WL worked closely with The Marketing Store to suggest a specific range of equipment. Dominic comments: “We provided the lighting, audio, video and mains distribution so it was a complete, full service solution. Along with the Designer’s concept, we also had to take into consideration that the event was taking place outside. Thankfully, we have worked on several events similar to this, such as the adidas Red Limit Launch and adidas F2 First Never Follows so know exactly what is required”. WL’s team of 14 technicians spent one day on-site installing the technical set-up for what was a one-day show. 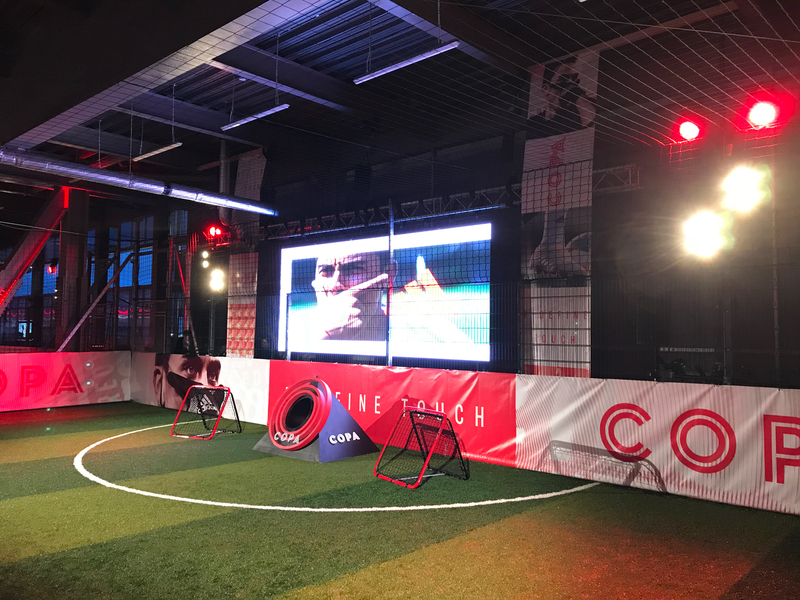 Dominic states: “The response we received both in person and on social media for the event was fantastic and it was great working with The Marketing Store to deliver yet another high-profile event for one of the biggest sporting manufacturers in the world”. Chris Bennett, Business Director at The Marketing Store, comments: “Whenever we work with a client such as adidas, we need to know that the technical support we draw on is the best it can possibly be. We continue to work with WL due to their creativity, reliability and the access they have to the very latest technology”.